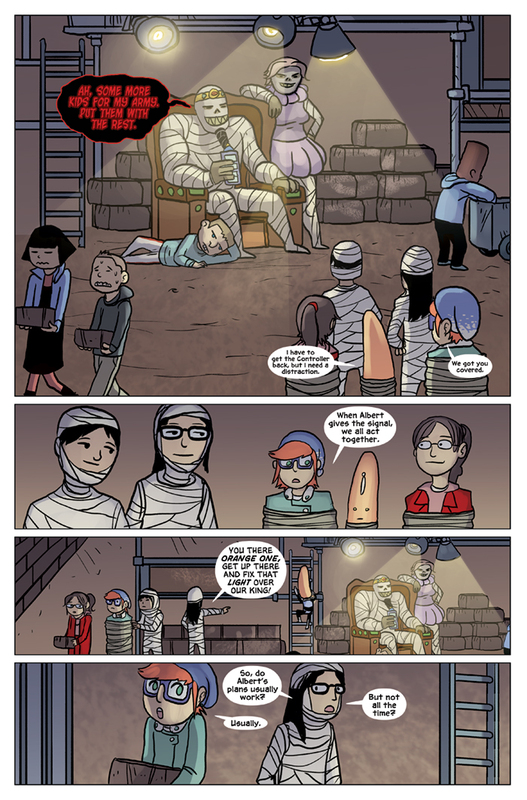 Albert and friends come into the new lair of The Mummy King, where their fellow students are hard at work. The Mummy King I asked Gabe to set up a little bit like Jabba the Hutt’s layout from Star Wars VI: Return of the Jedi. Wally is kind of the “Slave Leia” and Susie is kind of the C3PO of the grouping, with the Mummy King barking orders and watching (or not watching) while he rules over all he sees.